Winners at Pontefract and Windsor will not count for jockey or trainer championship purposes – it all ended at Ascot on Saturday. At least whoever wins the Silver Tankard at Pontefract will be consoled with just under £20,000. But perhaps it is time to zone in on the jump season with Plumpton hosting its popular Moorcroft charity raceday where legendary jockey and trainer Josh Gifford is remembered with a race run in his memory. Richard Birch is back with his Monday banker while our experts from around the country provide you with their best bets. 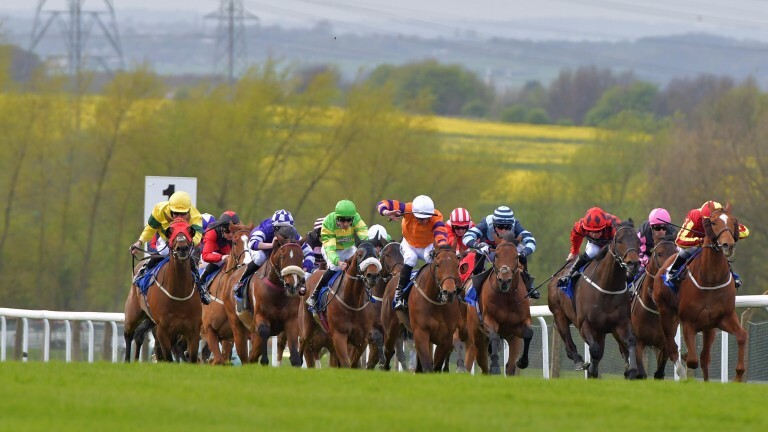 Sam Lawrie has a quick tip at Pontefract today. Aidan O'Brien's bid to beat Bobby Frankel's record for top-grade wins in a year moves on to Saturday. O'Brien, who equalled the record on Champions Day, looks set to saddle a strong team in the Racing Post Trophy as he goes for a record-breaking 26th win. Catch up on all the fallout and follow-ups from British Champions Day at Ascot, including news that Barney Roy, who disappointed in the Champion Stakes, is set to stay in training. Members can get the lowdown on the Philip Hobbs team in the latest unmissable instalment of our stable tour series. Watch Cracksman's stunning Champion Stakes victory through the eyes of Sean Levey, who was aboard Desert Encounter in fifth. Do not miss Mark Langdon's review of the weekend football action, including analysis of Huddersfield's defeat of Manchester United, and a price about a dominant Manchester City that could be too big. James Milton previews the Pakistan v Sri Lanka one-day cricket international. Plumpton hosts its popular and important Moorcroft Racehorse Welfare Centre charity raceday and there is usually a celebrity turnout to give racegoers extra interest.